A return to the series’ roots, The Bard’ Tale IV: Barrows Deep takes players back to the fantastical world of Caith for a classic single-player, first-person, party-based role-playing adventure rich in exploration, devious puzzles and combat. Recruit and level up a party of six renegade heroes and rise against the dark powers that have corrupted the realm. Dive deep into dangerous, maze-like dungeons, solve challenging riddles and quests, and defeat magical beasts, creatures and more in dynamic phase-based battles. The Bard’ Tale IV: Barrows Deep’s vibrant, interactive world is powered by Unreal Engine 4 and 3D photogrammetry to capture the atmosphere and detail of Scottish architecture and geography. Players will discover an engaging storyline from acclaimed writer Nathan Long (Wasteland 2) featuring beautiful music – composed by Ged Grimes (Simple Minds) and accompanied by some of the world’s top Gaelic singers – that plays directly into the game itself. The Bard's Tale IV: Barrows Deep was released on Linux, Mac and PC 214d ago in the US and the UK. The upcoming The Bard's Tale IV: Barrows Deep PS4 and Xbox One release date is 2019 in the US and the UK. Notify me when The Bard's Tale IV: Barrows Deep is available. Based on 1 The Bard's Tale IV: Barrows Deep review, The Bard's Tale IV: Barrows Deep gets an average review score of 79. 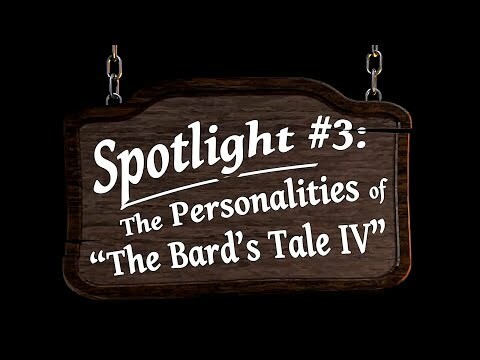 The Bard's Tale 4: Barrows Deep is a rousing but technically rough adventure driven by great music, clever puzzles, and challenging turn-based combat.